For shopping fun, head to Kaufhaus des Westens or Die Hackeschen Hoefe. 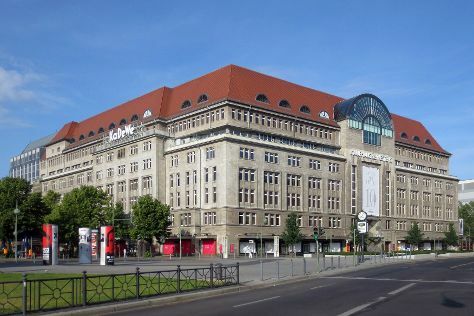 Discover out-of-the-way places like Potsdamer Platz and Dussmann das KulturKaufhaus. Explore the numerous day-trip ideas around Berlin: Potsdam (Potsdam's Gardens & Sanssouci Park). There's lots more to do: stop by Fassbender & Rausch Chocolatiers am Gendarmenmarkt, take a stroll through Mitte, ponder the world of politics at Reichstag Building, and don't miss a visit to Brandenburg Gate (Brandenburger Tor). To find maps, more things to do, where to stay, and tourist information, read Berlin travel itinerary planner. If you are flying in from Liechtenstein, the closest major airports are Berlin-Tegel International Airport and Berlin-Schönefeld International Airport. In April, daytime highs in Berlin are 17°C, while nighttime lows are 5°C. Wrap up your sightseeing on the 16th (Sun) to allow time to travel back home.